Insulating the floors in your home will reduce drafts and help you save each year on energy costs. 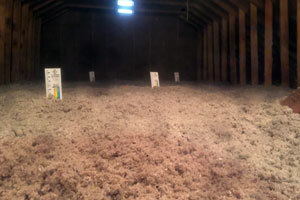 Ground level floors may get too cold in the winter if the spaces beneath them are cold. 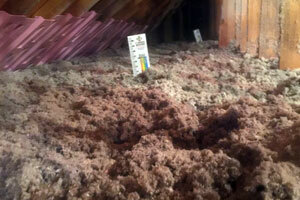 Existing insulation (if there is any) is often inadequate or improperly installed beneath the floor boards. Floor surfaces cool as the heat they contain is literally sucked away. Drafts cool floors, too. As heated air escapes from the upper levels of your home, cold air is drawn in through cracks around lower level windows and doors, from below the floor, and from outdoors. The cold air is heavier than warm air, so it tends to hug the floor and cool its surface. Oliver is your local home insulation company, providing our professional floor insulation services to local homeowners. Oliver doesn’t rely on one insulation product to solve all the energy loss problems associated within the home. Instead, we tailor our solutions to your home and the way it was built. We install a variety of insulation materials, including spray foam, radiant barrier, blown-in, rigid foam and more. In additional to installing floor insulation, we can also insulate your basement, garage, attic or any other area of the home. When it’s not possible to insulate the walls of your basement or crawl space, ask us about insulating the joist bays (spaces between joists) under the floor. We have various types of underfloor insulation materials that can do the job, including spray foam and rigid foam. Our installers will pay special attention to critical areas, such as perimeter rim joists – a notorious source of air leakage. Where feasible, supply outdoor combustion to your furnace or boiler. Drawing combustion air from your basement or utility closet creates drafts. Balconies, bowed and bay windows, and bump-outs are all examples of cantilevered spaces. Their floors are especially prone to air leaks because of ill-fitting soffits (boards used to seal under the overhang) combined with direct exposure to wind. Oliver has detailed solutions for each and every situation. We will specify the most appropriate insulation services based upon your home’s construction and your budget. Start saving energy and money today with an insulation upgrade. Call 1-877-757-1141 today, or Schedule A Appointment for an insulation estimate or a home energy audit.